When people see a blog on the internet nowadays, they don’t think anything of it. “Oh, it’s just another blog,” they’ll probably say – no big deal. However, people don’t realize just how much time and effort it takes to create and maintain a blog nowadays. It’s not just a matter of coming up with an idea and typing out the words every now and then; it’s real, dedicated hard work that regularly takes up a huge amount of brain power. There’s so much to think about when setting up a blog, so much to organize and process, and it doesn’t just happen overnight. Then, once your blog’s up and running, there’s everything else that follows. The constant brainstorming, the steady stream of content, and the urge to stay relevant in an already overcrowded marketplace. Yep, setting up and growing your blog can be quite a challenge – especially if you don’t have a clue what you’re doing. 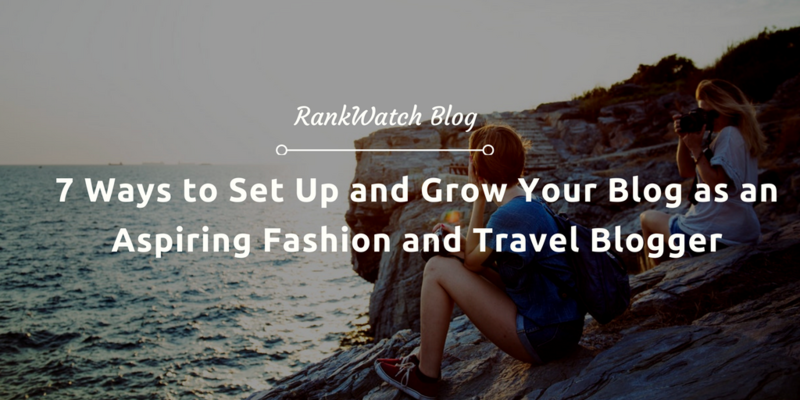 So, you’ve already decided on the fashion and travel niches – that’s great! Now all you need to do is bring your ideas to life. The first thing that you need to do is choose your host. Are you going to use a platform, such as Blogger or WordPress, that’s free to use and aimed at beginners who just want to blog for fun? Or, do you have big plans for your blog and want to grow it into a sustainable business one day? If you’re thinking the latter, then you might want to think about self-hosting. For a small charge per month, you can sign up with a self-hosted platform which means that you completely own and control your blog. You don’t have to worry about your platform suddenly shutting down and losing all your content – and you can customise just about anything you want. Another plus is that you can have constant, on-hand help from your platform’s readily available team of experts. 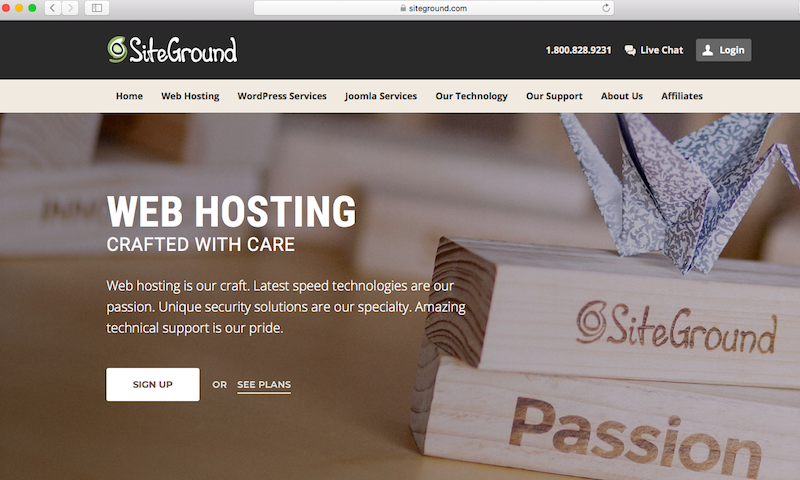 A couple of popular, self-hosting platforms to check out are Siteground and Bluehost – but you could always get started using a free platform and then switch to self-hosting later on in the game. Alright, so you don’t have to buy a domain name if you’re using a platform such as Blogger and WordPress. It just means that you have a rather untidy extension to your blog name (i.e. www.blogname.blogspot.com) – not ideal! Buying your own domain name is quick, easy, and practically painless. All you need is a few quid per year. 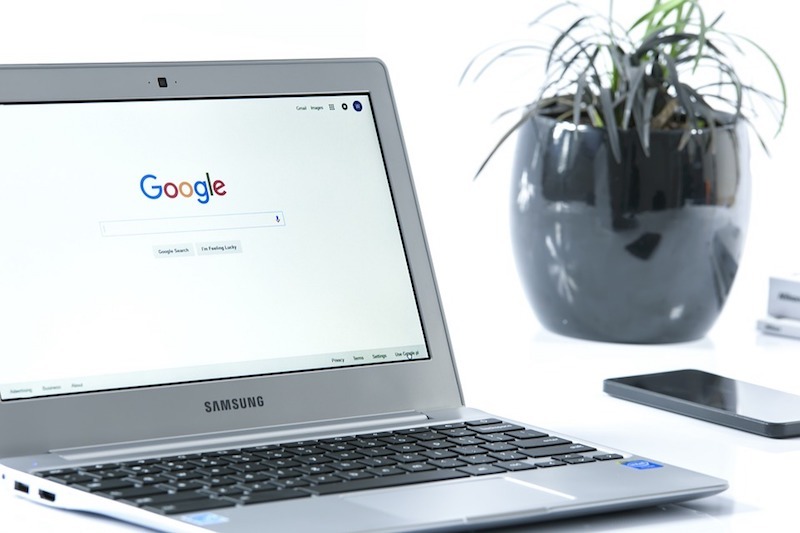 You can use sites like GoDaddy to grab a quick domain name. Alternatively, if you’re self-hosted, your platform will offer this service as part of a package or for another small charge. I definitely recommend that you buy your own domain name, whether you’re using your blog for personal or professional purposes, because it just looks so much better! Don’t you think? Oh and because you’re going to be working in the fashion and travel niches – try to pick something creative to reflect your upcoming content. Okay so you’ve got your blog basically set up, you’ve chosen a kickass domain name – and you’re ready to start publishing! Now comes the fun part – let’s get brainstorming. What kind of content are you feelin’? Do you want to start primarily with fashion posts and then move casually into travel? Do you want a healthy mix of both niches? Or, do you want to intertwine the two? For example, “X Fall Outfits You Can Wear for a Weekend in Prague”. Make sure that you have a place for writing down all your ideas, whether it’s in a physical notepad or on your computer, and pick the best ones to develop into actual blog posts. Also try to make your ideas as unique as possible, which will be difficult because the fashion and travel blogging world is very oversaturated. But, I believe in you! You’ve got this. And by killer, I mean killer. To successfully grow your blog, you need to create posts that people are actually going to want to read. Aspiring bloggers, take note: content is king! Choose exciting topics that are original, develop copy that delivers value to the reader, and use media to break up the huge chunks of text in your posts. By media – I’m talking imagery, videos, screenshots and the like. Spend time creating your posts, especially in the early days. Don’t ever compromise your blog’s content because you’re short on time or you simply can’t be bothered that day. Start how you mean to go on – and take it slow. Blogging isn’t a race! Once you’ve got your content up and running, you need to shout about it! Social media is the greatest tool ever when it comes to promoting your blog posts . Be active on Facebook, use Twitter, utilise Instagram – hey, even email your Great Auntie Moureen. Whatever works to spread the word about your fabulous new blog post – do it! The trick is to initially promote your posts once they go live – and then just keep on promoting them! Whether you can afford the time to do it once per week, twice a week or – heck – even everyday, don’t be shy. Your killer content deserves to be read and appreciated – and you need to drive them hits to your blog, yo! 6. Engage with relevant blogging communities. In addition to creating and posting killer content, and promoting each post that you publish, it’s important to regularly engage with the fashion and travel blogging communities. Both the fashion and travel lot are a lovely bunch, and they’re happy to comment on your blog posts if you comment on theirs. So, make sure that you get yourself out there! It’s all about that self-promo! Use the hashtags mentioned previously to search for blogs you might like, give them a visit and then leave them some love via social media. The chances are, your generosity will be reciprocated! It’s time to get chatty! The final tip I have for you is to make sure that you’re posting regularly on your blog once it’s up and running. It’s the only way that you’re going to grow your audience. Don’t be one of those bloggers who posts regularly for a couple of months and then disappears. What’s the point in building up your audience and a loyal following, only to abandon them for months at a time? It undoes all your hard work. Hint: consistency is the key! Decide on a content schedule and stick to it. Then, and only then, you will start to see results of your growth through your blog’s statistics and engagement level. As with anything in life, blogging is a learning game. It takes time to figure out the logistical side of things, such as setting up your blog, as well as the marketing side of things via social media. However, once you get going, blogging can be so fulfilling. Whether you’re planning to publish purely for yourself, or for a professional purpose, all you need is passion and drive to deliver results. If you persevere, you’re serious about it, and you’re more than willing to put in the work – then there’s no reason why your blog can’t succeed. And hey, if you run into any issues, don’t be afraid to ask the blogging communities – or tweet me @kdavieswrites.